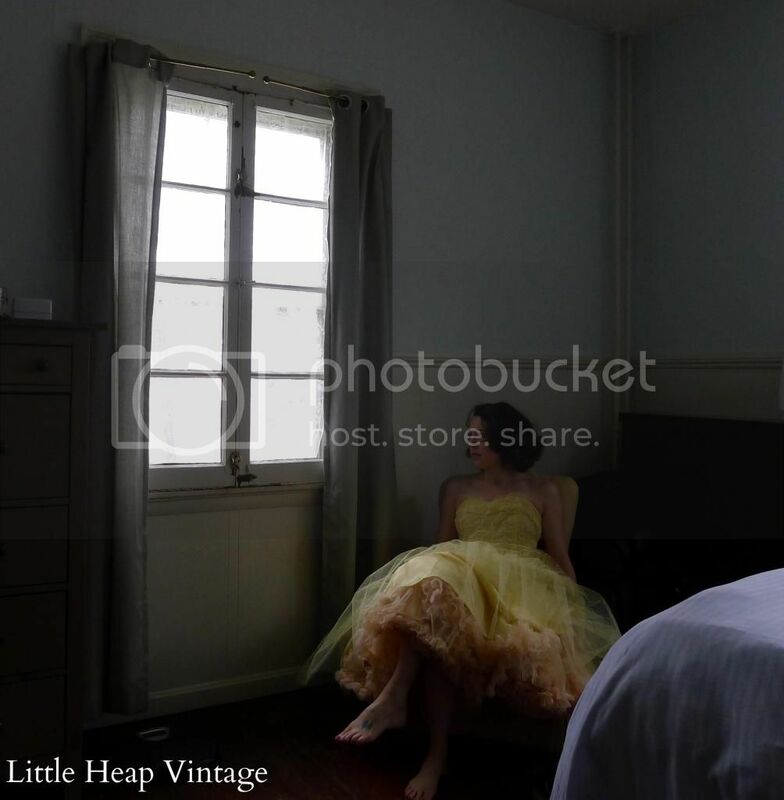 Little Heap Vintage: Questions and answers and facts, oh my! Hey there! I'm officially in Providence, but as I hit the ground running with work, I'm still a little betwixt and between, and a little behind on photo shoots. I've got a couple things in my pocket for the upcoming week or so, but for now I've gotten a breather by way of the beautiful Taygan from dear mr rabbit, who nominated me for the Liebster Award! 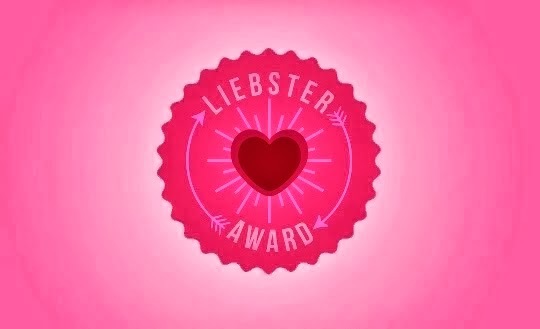 Much like the Very Inspiring Blogger Award, the Liebster Award is given to bloggers by bloggers, and the Liebster is specifically for bloggers with fewer than 200 followers. For baby blogs, if you will. I'm so flattered that, new as Little Heap Vintage is, it's still caught the eye of Taygan, who has such a cool, easy style. 1. If you could be any kind of animal, what would you be? Ella, the gorgeous, slightly cross-eyed cat from Dear Golden. Lauren posts photos of her all the time on her Instagram feed, and boy, she seems to have The Life. While packing for this move, I realized the answer to this is at once Too Many and Too Few. I have too many impractical shoes, many of which have gone with me, move after move, despite the fact that I can't walk in them and long ago left behind any non-walking city. For example, a pair of bright blue suede heels that looked awesome, as long as I stood still. Any attempt to walk, and I resembled a velociraptor. During this move I purged a little, and though I think I probably still have too many--I'd estimate somewhere in the 20s--at least they're (almost) all wearable. 3. Scary movie or rom-com? Rom com, every time. And actually, if I'm choosing to watch a movie at home, I usually pick one I already know and love. It's not very adventurous, but to me, the whole point of watching a movie at home is to experience comfort and gemütlichkeit. 4. Do you have a special talent? I'm not sure I have a specific special talent, but I do learn things very quickly, whether it's a language or a process or facts from researching. I'm not sure that'd land me on any superhero team, but it's pretty useful. 5. Are you a collector of anything? I've had a lot (a *lot*) of collections, mostly as a kid--coins, rocks, coffee mugs, foreign Coke cans--but the collecting bug hasn't really made it into adulthood, apart from my obvious collection of clothes. Again, while packing, I got a really clear picture of how big that collection is. 6. What do you think is your best feature (physical or otherwise)? Maybe my cheekbones? As far as non-physical, maybe going along with #4, I'm always trying to learn something new and keep growing as a person, which is a drive I like having. I also wanted to talk about queer visibility in the vintage scene, and so far, blogging has absolutely started accomplishing that for me--if not through my own visibility, then through the wonderful comments that have pointed me towards other queer bloggers. Seeing yourself represented is one of the greatest ways to aid self-acceptance, and this journey has been really wonderful for me. The writing, photography, and planning that's gone into Little Heap Vintage has given a great outlet for creativity that I think has been a little stymied through the daily grind, and a reason to get up in the morning and learn something new. It's what will keep me blogging for a while yet, I hope, and even more, I hope it's what keeps you reading. 8. Where is the farthest you have ever travelled? Moscow, where I spent the longest three months of my life during graduate school. Wonderful theater; hard living. 9. What is your favorite outfit you have posted on your blog? For its emotional content, I think I'd go with the 50s prom dress I wore for Letting Go of Baltimore. 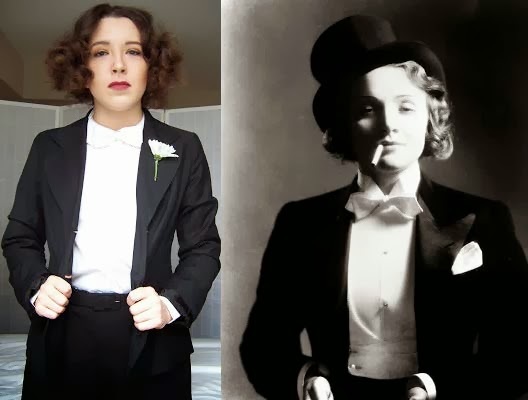 For an outfit in its own right, and the unmitigated confidence it inspired, probably my tribute to Marlene Dietrich. 10. If money was no object, what would you do all day? 11. Who is your favorite super hero? Batman. I don't know if it's the swanky double-life, the gadgets, or the fact that he wasn't bitten by anything radioactive, but I've always loved Batman. You know what, I do know why--growing up, my babysitter used to let me stay up late to watch Adam West in Batman. I think this may also be a contributing factor to my adoration of camp. 1. I really enjoy yoga; I am not good at yoga. I've been doing yoga for a long while now, and it's my primary means of exercise. I find it really calming, vigorous, and therapeutic, but for the life of me, I still can't do it very well. Obviously, a yoga teacher would counter that doing yoga at all is doing it well, and the poses themselves are not yoga. I appreciate and really do believe this, but when the person on the next mat looks like a pretzel, it can be oh-so-slightly discouraging. Oh well; it fosters humility. 2. I have a wicked sweet tooth. Like, it's probably clinical. I'm working on a play right now that calls for a box of pastries. This is the second play in a row I've worked on that calls for a box of pastries. Watching rehearsal, there is nothing I want more than a box of pastries. I almost always have some form of candy in my purse, because when I get a craving for chocolate, it's not optional. I will be eating chocolate, so it's just a matter of whether I can get it quickly, or whether the next twenty minutes are going to be ruined while I frantically search for it. This is something I learned about through an aptitude test that's actually helped explain me to myself, at least partially. Ideaphoria is when you have a constant stream of ideas coming to you, which is terrific on the one hand--you can always see other possibilities--but crippling on the other, because you have too many ideas to ever come through on. I also have strong foresight, which means I'm good at imagining possible outcomes. This combination can create a bit of a jumbly mental space as I brainstorm different possibilities, and then the outcomes that rule out those possibilities. As you might imagine, it can make it hard to commit to a course of action. This was sort of a "lightbulb" moment, as I sat in the aptitude tester's office. 4. This same aptitude test revealed I would have been a stellar heart surgeon. Unfortunately, my muscles slacken at the faintest whisper of a hint of a thought about blood. Don't need foresight to see the outcome of that combo. 5. I really like pop music. If you ask me about my favorite music, it'd be soul, Motown, and other totally respectable genres. If you're in the car with me, we'll be singing to Britney Spears. 6. No matter how long I have to get ready, I will always leave my apartment as though I exploded out of it. Definitely one of the things Kate loves best about me. Definitely. 7. I've got a big ol' crush on Michelle Chamuel, but I think in real life we probably wouldn't get along. Just, no one could possibly be that positive and happy all the time. No one. 8. I'm terrible at feeding myself. Yesterday for lunch, I had a fistful of carrot sticks and some salt and vinegar chips. Am I six years old? 9. For some reason, I cannot turn in library books on time. I currently owe the New York Public Library $13.50. Guys, I lived across the street from a branch of the NYPL. ...but in a taste test, I could not tell you which of two was higher quality. My favorite sparkling wine? A $10 bottle of Korbel Extra Dry. Class. 11. I still haven't figured out Pinterest. I don't think this one requires explanation, I'm just a 29-year-old grandmother. Alright, that's all the facts I got this time around! Have a great Wednesday, alright? Great answers! 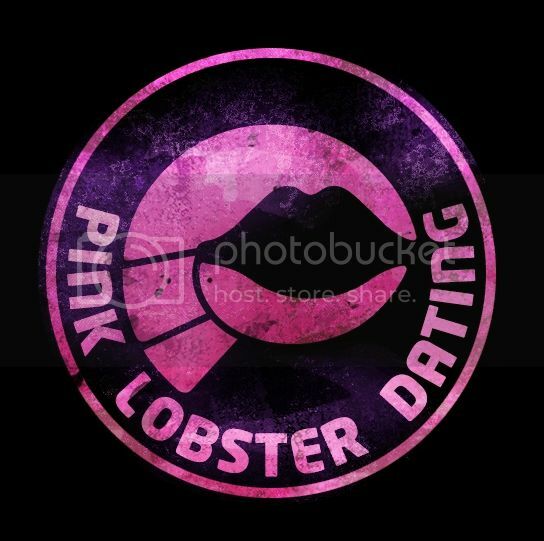 I think we would have a great time hanging out! Eating chocolate and drinking cheap champagne whilst listening to cheesy pop music and lamenting our ridiculous (but necessary) shoe purchases? Um, sounds awesome. Uh yeah, that sounds pretty boss. I really enjoyed reading this and I discovered we have even more in common! Batman, an inability to feed ourselves, listening to some Britney! Yay! Seeing yourself represented aiding to self-acceptance. Yes. I love this. And it is so true. While I enjoy being unique, it is wonderful to see those like you in some format. Regarding Pinterest, it took me some time to get the hang of it too. But now I can't stop using it. I look at it as a virtual bulletin board, or rather boards. I theme my boards to various subjects and it helps me keep ideas and such organized in a fashion that isn't physical such as a notebook or such. I have multiple hair boards, divided by era that are nice go-tos when I want to try a new do. Yeah, the representation thing is something you don't even think about, really, unless you realize there's no one like you in ads, movies, shows, etc. I mean I certainly don't want to feel dime a dozen, but recognizing you're part of a community of whatever type is usually hugely helpful to self-acceptance. I think what we've just learned is that you, me, and Taygan should listen to pop while eating badly. And watching 60s action shows. Basically. In the meantime, I'll keep working on Pinterest; I just haven't gotten to the point where pinning something is an obvious go-to action, so my boards are pretty bare. This was a fun read! I am very amused at you living across from a NYPL branch, and still having the problem of turning the books in on time. Though, I'm sure I would end up doing the same thing if my library were closer. Your blogging for representation really made me smile. It's something that's very important to see, but something you don't see very often, which is sad. I can't wait to see more of your posts on the subject, Whitney!